Little ones will love exploring some of the most popular locations on the Island of Sodor with the new Railway Pals Destination Discovery. 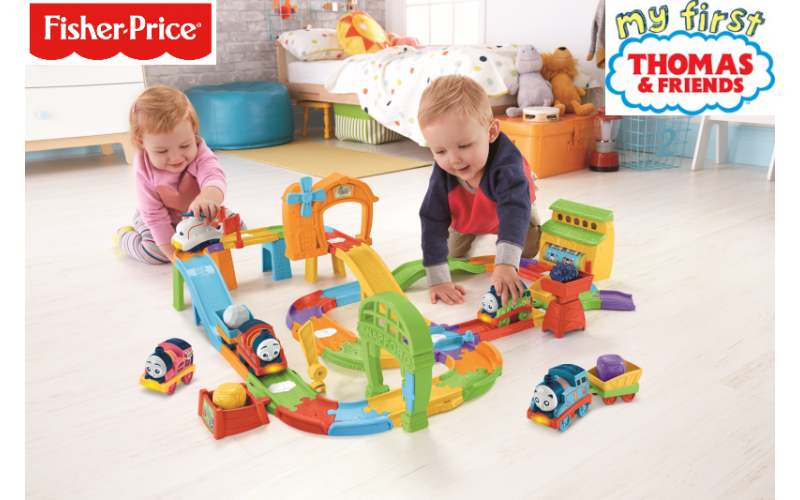 Roll Percy over the track activation points to hear fun sounds, songs and phrases that teach letters, numbers, colours and directions. Each of the playsets nine activation points trigger over 50 unique sounds and sayings, from cheerful songs and destination-themed content, to helpful phrases that encourage children to count! Press Percy's light-up bumper to hear him talk and sing, or activate it by bumping him into the crossing gate. Rotate Percy on the turntable, or spin the drum on Tidmouth Sheds to see it light up.